If you are familiar with GlobalGiving then you know that every year this platform, which focuses on giving donors access to small effective charities, rewards its best charities with Superstar status. Well, to start off 2019 on the best foot possible, Kids for Kids has once again been rewarded with SUPERSTAR status! In 2018 donations from all our wonderful donors on GlobalGiving, combined with the matching funds the website supplied through various bonus days, raised a phenomenal $65,112. What an accomplishment! We are so grateful to all those who supported us here – YOU are the real superstars! We have also been told that 390 new people donated to our GlobalGiving projects this year and our 15 monthly donors raised $4,016 in the past 12 months. We are so unbelievably grateful to our monthly donors who set up a recurring donation on the website, giving anything from $10 to $100 and more each month – funds we can rely on and that help us plan ahead for our projects. You can easily be a monthly donor – just choose your favourite project and select the ‘Donate Monthly’ option – every penny helps! This year, GlobalGiving will have multiple bonus days for you to participate in! A few dates for your calendar are March 1st-15th for the Girl Fund Campaign, April 8th-12th for the Little by Little Campaign, July 18th for the GG Rewards Day, and December 3rd for this year’s Giving Tuesday. Get these dates in your diary and await more information from us about these campaigns closer to the time (check our social media networks, or email us to stay in the loop!). We look forward to spending another year with you all – and don’t forget to share our GlobalGiving page with friends and family to help us make our network bigger. Our 2019 goal is raise even more funds on the site than in 2018 and we need your help!! 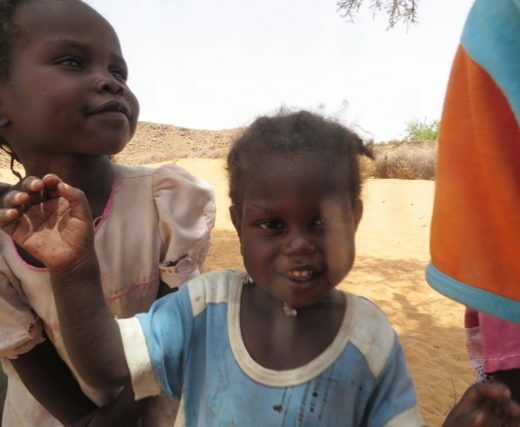 Thank you, Superstars, and here’s to another year of creating sustainable change for families in Darfur!